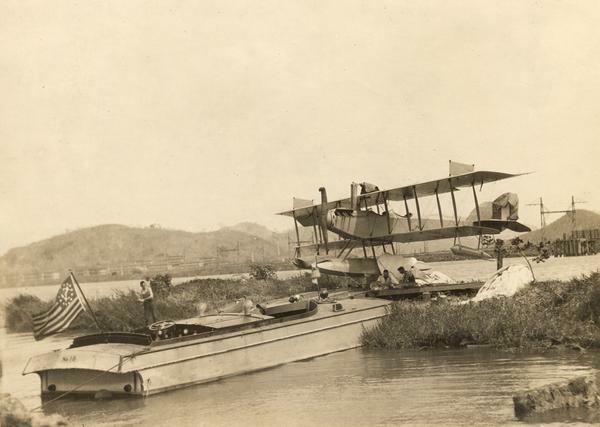 A Curtiss hydroaeroplane tied down prior to a test flight over San Diego Bay. Two unidentified pilots rest on the dock in the shade of its wing. During the 1911 season at North Island Martin successfully adapted his basic design so that it could land and take off from water. These planes were referred to as hydroaeroplanes or hydros. During 1912 while John Kaminski was an aviation student at North Island Crutiss began development on single hull "flying boats."